SKU: PD-DOLP. Categories: Pendants, Spirit Animals. Good Luck, Cleverness, Intelligence. According to Douglas Adams, dolphins are the most intelligent creature in our universe and we are inclined to agree. 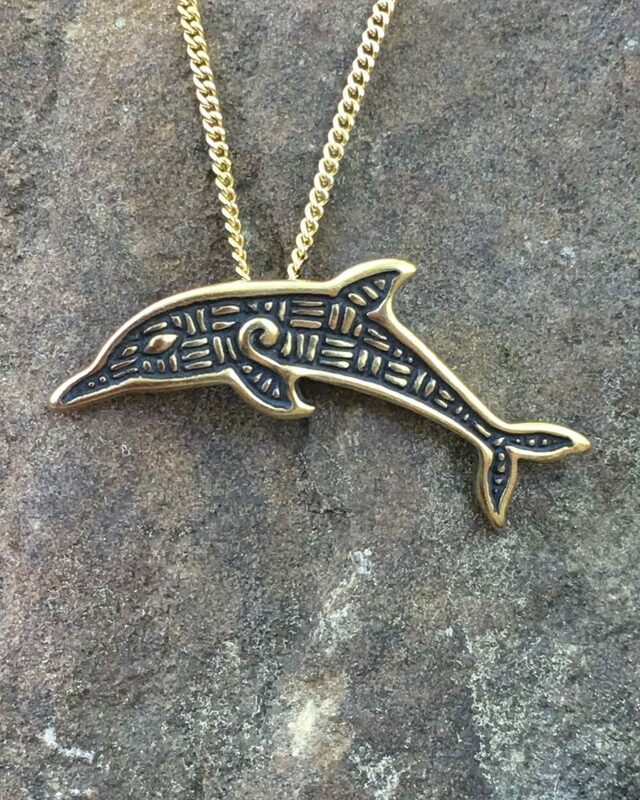 Let our dolphin pendant leap into your life! Available in bronze and sterling silver, this pendant is 2” by 1” (50 x25 mm) and comes with an 18” gold or silver-tone steel chain. Dolphins were seen as a symbol of good luck for seafaring men because they often appeared beside ships during fair weather. They have also been known to aid distressed swimmers and protect them from sharks.